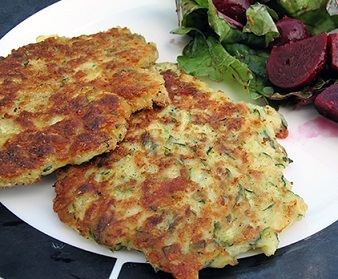 This Zucchini Patty Recipe is from a reader of the website. I followed the ingredients and her directions and then offered them to the restaurant guests. They heartedly approved, making this a Real Restaurant Recipe. 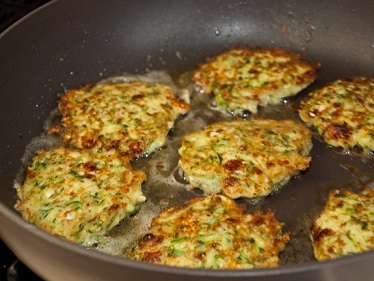 Thanks for this wonderful and nutritious way to make use of zucchini! Also very good when topped with a dollop of sour cream! Serve these with a lemon wedge! They are great! 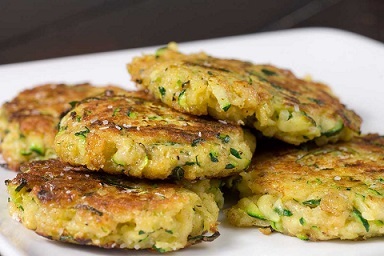 Enjoy your zucchini patty recipe and the company of those you share it with! "You cannot grow tulips from zucchini seeds."